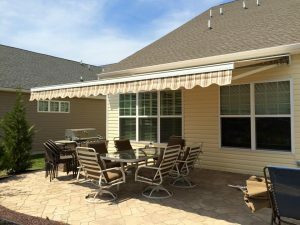 The Cassette Awning is a new type of retractable awning that has been architecturally designed for unsurpassed strength, style, and durability. 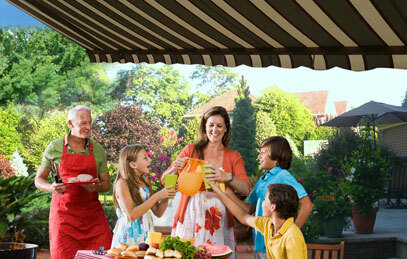 Cassette Awnings are a shading system designed to fully protect the unit when retracted. A compact design and clean, European inspired lines allows a Cassette Awning to be mounted on most surfaces and architecturally blend harmoniously with your home. 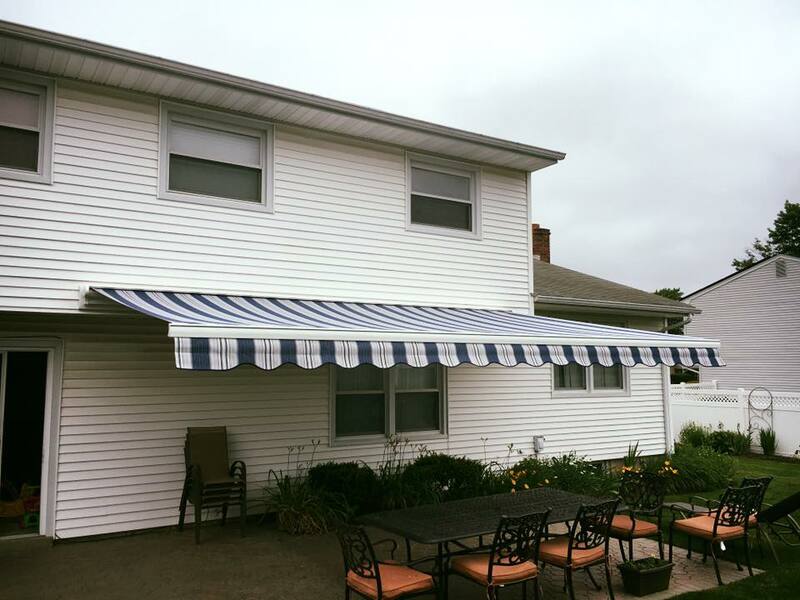 Featuring superior solar protection, Cassette Awnings are also available with an optional motorized Drop Shade that extends from the front bar and lengthens vertically almost 3 feet – with just the touch of a button! When not in use, the fabric, conceals quickly inside a housing protecting it from the elements. 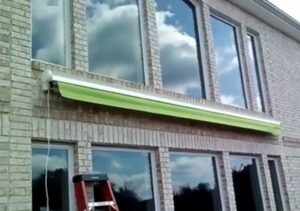 The Awning Warehouse is the leading Retractable Awning Installation company in New York and Jersey. We stand by the Cassette Awning as it offers Incredible durability and strength, combined with an elegant designer look. This makes the Awning Warehouse Cassette Awning retractable awning the ideal shading system for the discerning homeowner. Awning Widths up to 22 feet, 19′ with Drop Shade. Blocks up to 98% of the sun’s harmful UV rays, while also providing significant cooling. Choose from more than 200 Sunbrella fabrics to best match your home or business.